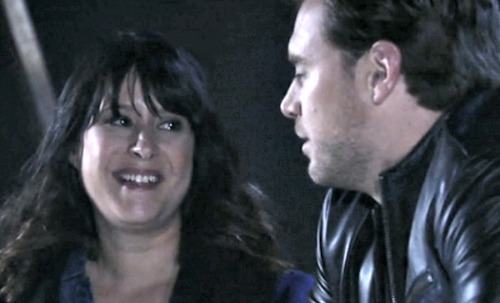 General Hospital (GH) spoilers tease that Jason (Billy Miller) will face another devastating betrayal. It’s just one more terrible blow for the forgotten twin! Sam (Kelly Monaco) appears to be on the fence at this point. Liz (Rebecca Herbst) and Curtis (Donnell Turner) are solid allies for now, but pretty much everyone else has hopped on the Patient Six (Steve Burton) train. All P6 has to do is look at them with those intense blue eyes, mention a couple memories and they’re completely convinced. It’s not exactly fair, but it’s hard to blame them for trusting their instincts. They can’t turn their backs on the man they believe to be the real Jason Morgan. Like Robin (Kimberly McCullough) said, classic Jason’s memories seem so authentic. Current Jason can say the words, but it’s different when you’ve actually lived those moments. At least that’s how the Patient Six team feels! When Robin catches up with Carly (Laura Wright), they’ll marvel at how wrong they were. They’re 100-percent certain that Patient Six is Jason, so they’ll regret not trying to find him. Carly and Robin will feel like they gave up on their friend and settled for his brother. Still, they’ll be glad that classic Jason is back in their lives. It’s better for him to miss out on five years than to never come home at all. Next week, General Hospital spoilers say Robin will have another deep conversation with Patent Six. Their last chat was all about convincing Robin, so she’ll want this one to focus on classic Jason. Robin will hope to find out how he’s dealing with this mess. Patient Six will admit that this has been incredibly overwhelming, but he’s hanging in there. Of course, the other Jason is having an even tougher time. He feels like his entire life is being threatened and he just can’t handle that. GH fans can expect more difficulties once current Jason encounters Robin. Miller’s Jason may overhear Robin and P6 reconnecting. He might even witness a warm embrace or an additional declaration that Patient Six is the one and only Jason. Whatever the case, it’ll become clear to Jason that Robin isn’t on his side. He’ll obviously be hurt, but he’s probably getting used to it by now. 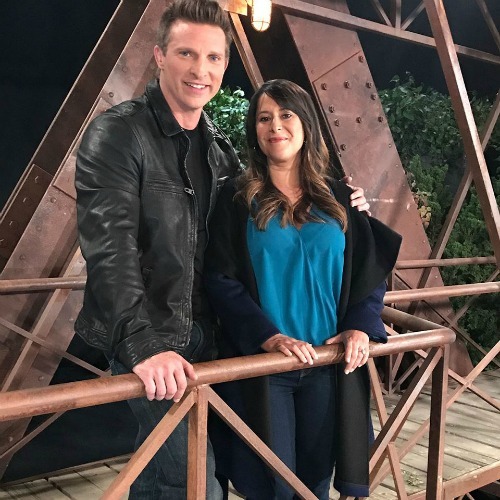 General Hospital spoilers say Robin will feel guilty, but she’ll hope to make things right by proving Patient Six is the true Jason Morgan. Robin will think that’s what both Jasons need to move on, but she’d better be prepared for some surprises! GH buzz is that Robin’s investigations will turn up shocking info which leads ultimately to failure to prove her belief. We’ll give you updates as other GH news comes in. Stay tuned to the ABC soap and don’t forget to check CDL often for the latest General Hospital spoilers, updates and news.